Israeli forces continued with systematic crimes in the occupied Palestinian territory (oPt), for the week of 09 – 15 November, 2017. 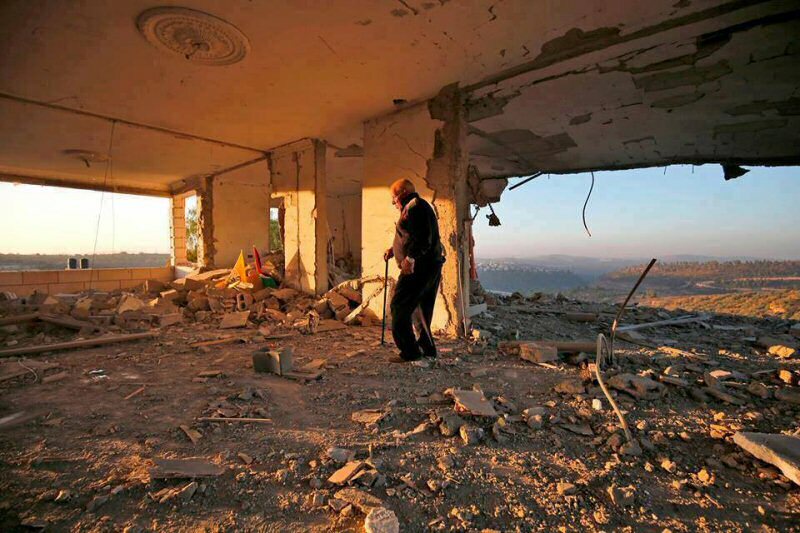 Israeli forces continued to apply the collective punishment policy, while a house belonging to the family of Nemer al-Jamal was blown up in Beit Sorik village, northwest of occupied Jerusalem. According to PCHR’s investigation and eyewitnesses’ accounts, at approximately 05:00 on Wednesday, large force of Israeli soldiers moved into Beit Sorik village, northwest of occupied Jerusalem and imposed a security cordon on it. They then surrounded the neighborhood, raided the house of Nemer Mahmoud al-Jamal and forced its residents, who were about 15 persons, to leave it immediately. The soldiers also evacuated the neighboring houses and gathered all the residents in a school yard in the village. Following that, special forces planted a big amount of explosives in the house, which is an apartment in a residential building and then blew it up. As a result, the apartment was demolished, and the other apartments sustained cracks. Moreover, the owners of the neighboring houses said that their houses might collapse due to the material damage as the walls cracked. It should be noted that the Israeli forces handed the family through their lawyer an evacuation decision until the 4th of this month in preamble to demolish it. 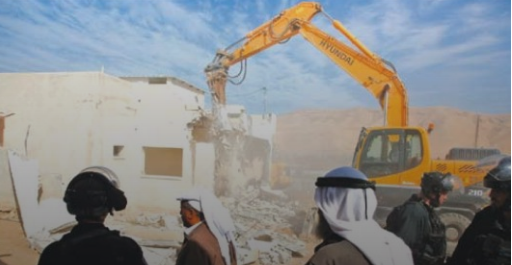 They also raided the house on 09 November 2017 and handed al-Jamal family a decision to evacuate the house within a week to demolish it. It should be noted that al-Jamal carried out an armed attack on 27 September 2017 against Israeli soldiers stationed at the entrance to “Har Adar” settlement. As a result, 3 soldiers were killed and then al-Jamal was killed by an Israeli military force that was in the area. In its Weekly Report On Israeli Human Rights Violations in the Occupied Palestinian Territories for the week of 02– 08 November 2017, the Palestinian Center for Human Rights (PCHR) found that Israeli forces continued systematic crimes in the occupied Palestinian territories. 2 Palestinian civilians were wounded in the Gaza Strip. 67 civilians, including 4 children and 7 women, were abducted. During the reporting period, Israeli forces conducted at least 68 military incursions into Palestinian communities in the West Bank while they conducted 6 incursions into Jerusalem and its suburbs. During those incursions, Israeli forces abducted at least 54 Palestinian civilians, including a child and woman, in the West Bank. Thirteen civilians, including 3 children and 6 women, were abducted in Jerusalem and its suburbs. The female arrestees are wife of a prisoner, a kindergarten’s principle and 3 teachers. As part of targeting Education Facilities in occupied Jerusalem, on 06 November 2017, Israeli forces raided “Zahwet al-Quds” Kindergarten and School in Beit Hanina neighbourhood, north of the city. They raided and searched the classrooms and took the teachers’ ID cards to take photos of them after questioning the teachers. 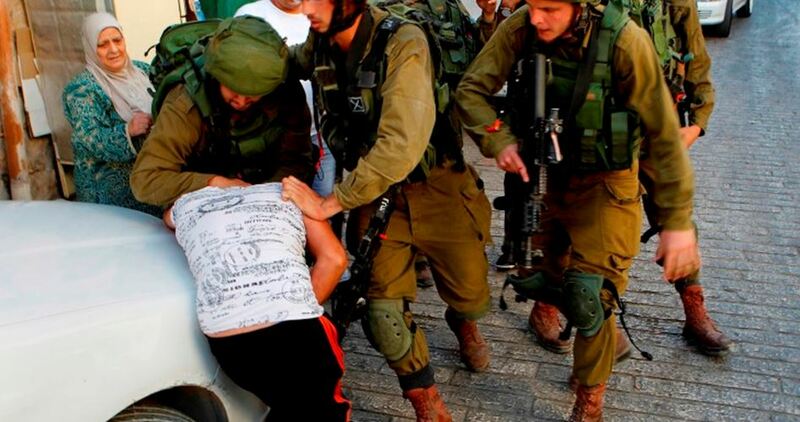 The Israeli soldiers then abducted the School Principle and 3 teachers and later withdrew. Following this, the Israeli forces raided a house belonging to Mona al-Karawi, Director of the School’s Society, and abducted her along with her husband. In the Gaza Strip, on 06 November 2017, 2 Palestinian fishermen, who are brothers as well, were wounded when Israeli gunboats stationed offshore in the northern Gaza Strip heavily opened fire at the Palestinian fishing boats sailing within 4 nautical miles. One of the fishermen was wounded with a rubber-coated metal bullet to the right thigh while the other was wounded with a bullet down the left knee and other rubber-coated metal bullets in the right thigh and the right foot joint. They were both then abducted and taken to Ashdod Seaport while their boat was confiscated with all its equipment. Later, they were released while their boat is so far under custody. Israeli settlers continued their expansion of their territory onto Palestinian land through the use of force. Israeli forces again attacked the weekly non-violent demonstrations held each week in various locations to protest the Wall and settlements. Due to the number and severity of Israeli human rights violations this week, the PCHR made several recommendations to the international community. Among these were a recommendation that the international community intervene to compel the Israeli authorities to lift the closure that obstructs the freedom of movement of goods and 1.8 million civilians that experience unprecedented economic, social, political and cultural hardships due to collective punishment policies and retaliatory action against civilians. In addition, PCHR calls upon the European Union to apply human rights standards embedded in the EU-Israel Association Agreement and to respect its obligations under the European Convention on Human Rights when dealing with Israel. 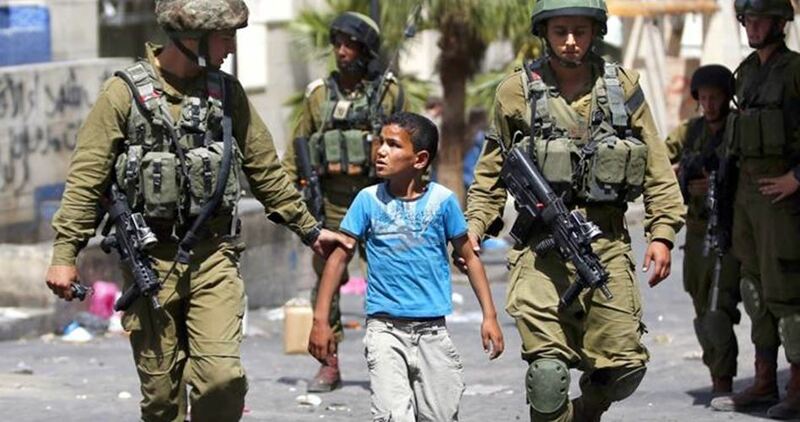 The United Nations expressed on Monday concerns over the situation of 500 Palestinian children incarcerated in Israeli jails. U.N. deputy spokesman Farhan Haq said during a press conference held at the UN headquarters in New York that the number of Palestinian minors held in Israeli lock-ups has hit 500. The UN official called on Israel to either work out the legal situation of minor detainees and of all Palestinians held with neither charge nor trial in occupation prisons, or to release them immediately. Palestinian children in Israeli penitentiaries have been made to endure dire detention conditions and harsh torture tactics, most notorious among which being strip-searches, heavy beating, verbal assaults, and exhaustive interrogation to force confession. A report issued by Detainees and Ex-detainees Committee on Monday showed that two Palestinian imprisoned brothers: Tareq and Ahmad Baja, 26 and 19 years old respectively, were subjected to ill-treatment and abuse by Israeli Occupation Forces (IOF) during their arrest. The two captives, who are from Jayyous town in Qalqilya, narrated their story of arrest to lawyer Hanan al-Khatib. She reported that they were rounded up at midnight after storming and wreaking havoc inside their home. IOF soldiers blindfolded them both, then took them to a military jeep to be transferred to a nearby military camp. They told the lawyer that the soldiers did not stop abusing them ... beating, screaming, cursing and insulting them all along the journey. What provoked them the most was the soldiers taking a selfie for themselves with the captives while being tortured, the lawyer said. The detainees were taken to Huwara detention center then to Megiddo jail where they were strip-searched. The report also stated that two other prisoners: Murad al-Araj, 25, from Anabta town in Tulkarem and Tarik Abu Tabikh, from Jenin refugee camp, were also tortured and ill-treated during detention and investigation. Amnesty International on Sunday condemned Israel’s decision to deny an Amnesty International USA staff member entry to the West Bank. 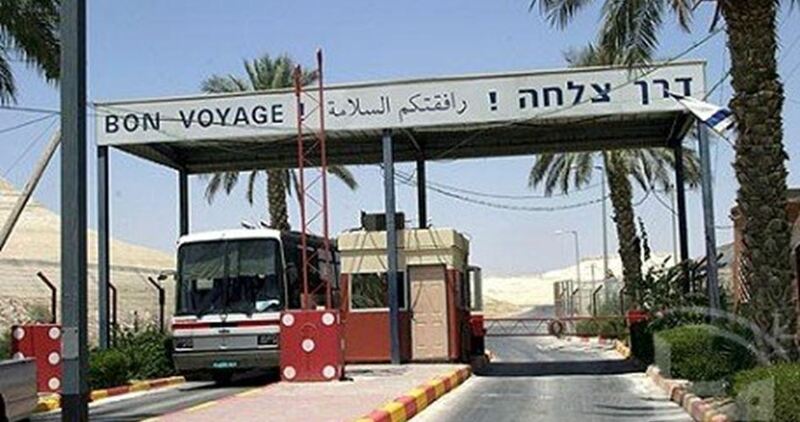 According to a statement issued by Amnesty International, Raed Jarrar, Advocacy Director for the Middle East and North Africa at Amnesty International USA, was stopped at the King Hussein crossing (Karama) between Jordan and the West Bank. He was on a personal trip to visit his family in Occupied Palestinian Territories (OPT) following the recent death of his father. Jarrar was interrogated by Israeli officials about the reasons for his visit, his work with Amnesty International and in particular the organization’s denunciation of the Israeli settlements in the West Bank, before being denied entry and forced to return back to Jordan. “The fact that Raed Jarrar was barred from entry after being interrogated about his work with Amnesty International appears to suggest that this move was taken in retaliation for the organization’s work on human rights violations in the OPT,” Philip Luther, Research and Advocacy Director for the Middle East, said. “This appears to be another ominous signal of the Israeli authorities’ resolve to silence human rights organizations and activists who are critical of the Israeli government. It flies in the face of the government’s repeated claims that Israel is a tolerant state, respectful of human rights.” he added. “Refusing entry to a human rights advocate because he works for an organization that has criticized human rights violations by Israel would constitute a blatant assault on freedom of expression,” Philip Luther stated.